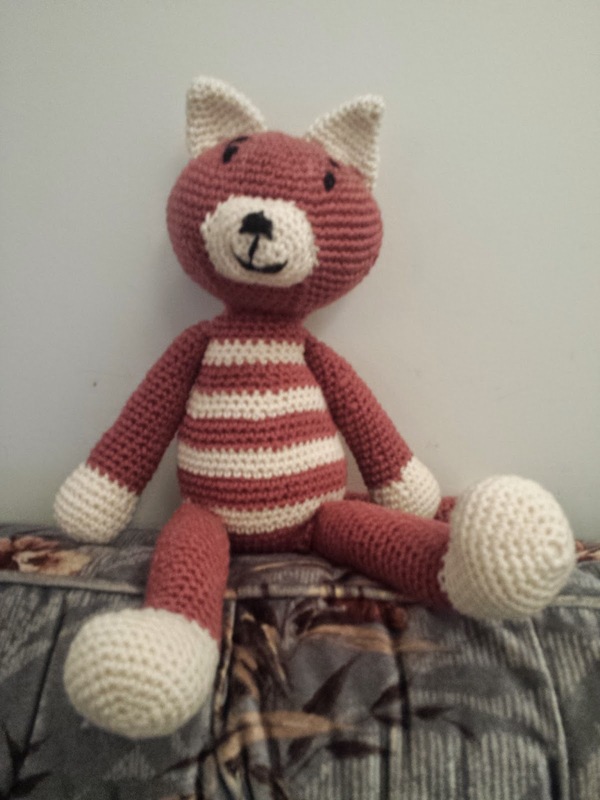 Next up in my long line of gifts to make is my bestie's little cutey wutey new baby girl. 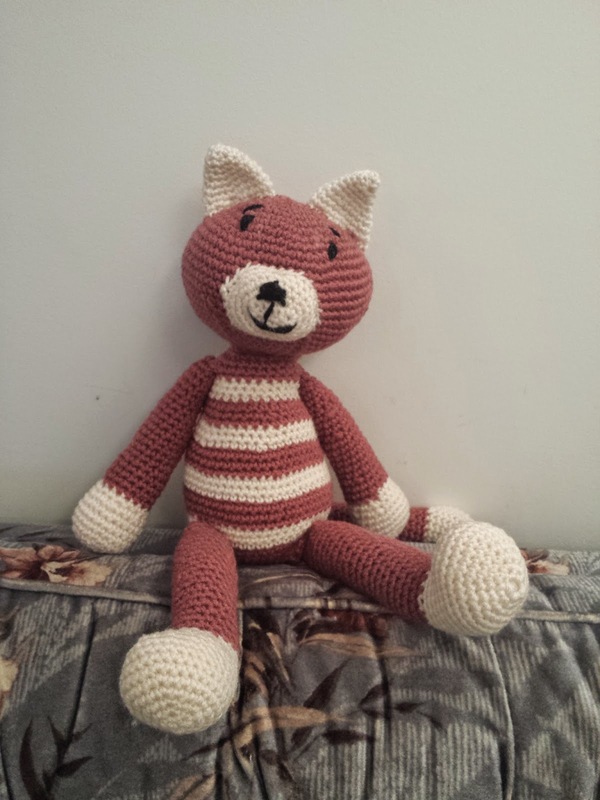 I used this pattern which had lots of photos and instructions. The most trouble I had was with getting the face right. I always have such a struggle with facial features. Those eyebrows could have ended up looking more angry than I intended. I probably redid the face about 4 times before I got it right. You can see the chalk still on the face where I originally thought the eyes should go. Gotta wash that off before I send kitty! I used a raspberry coloured yarn with ivory accents - both big balls of yarn I found at the thrift store so stay tuned for more projects made with each of these colours. I think kitty will be a little easier to figure out a packing situation for than Frecko Gecko, but still, I really need to start making things that are less bulky. All the money I save on yarn I'm spending on shipping! Yowsa! Oh well, it's worth it to send a handmade gift to a loved one ... so it all evens out in the end. 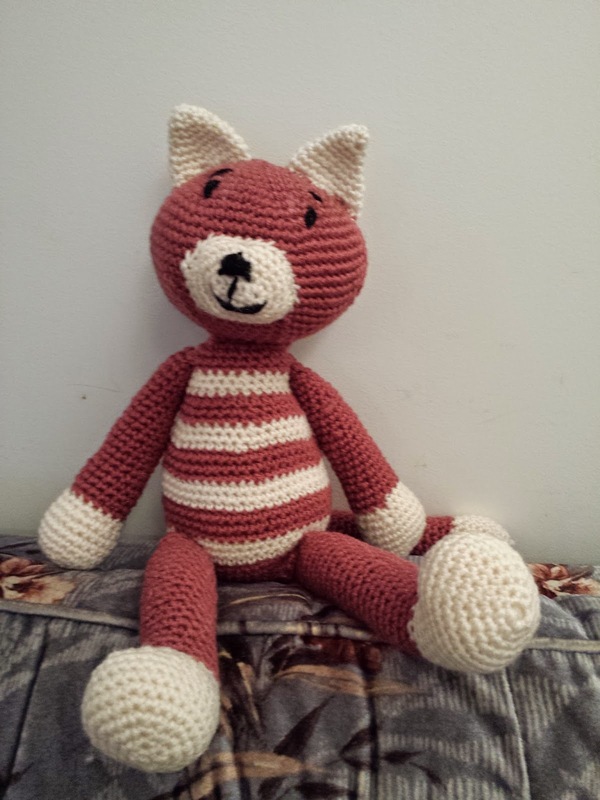 Here is a link to my kitty project on Ravelry.